Are you ready for some fun? Put on your exercising shoes and bring your supporters. The “Do It for Lupus” Walk for Lupus Research is taking place on Sunday, June 2nd. This a brand NEW event to raise funds for lupus research in BC. This year, our goal is to raise $3000 dollars. 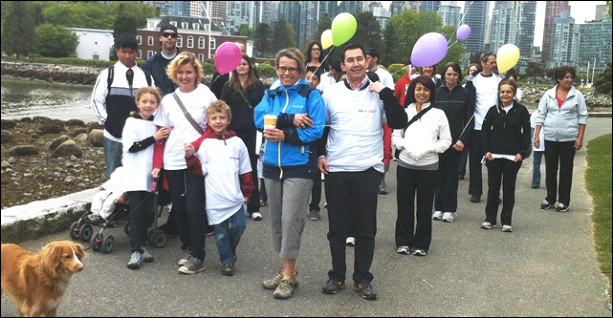 Please join the Vancouver team on June 2nd to support their fundraising goal. For more information regarding the “Do It for Lupus” Walk for Lupus Research please contact Val Bishop at 604-714-5564 or by by email.